inca tradition & salkantay trek: Paddle in Piuray Lake, weaving. Inca Tradition & Salkantay Trek, the best way to experience Salkantay Trek to Machu Picchu with Stand Up Paddle in Piuray Lake, homestay, local living and weaving demonstration in Chinchero (Taucca Community). 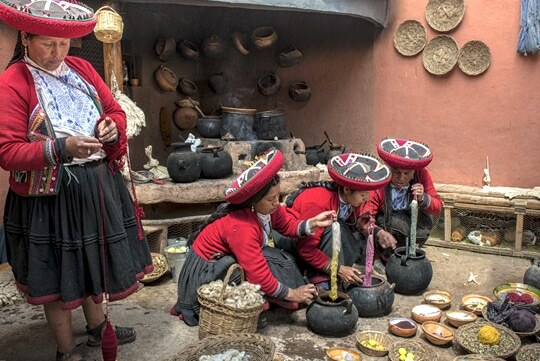 This trip itinerary it is designed to support local andean families in Taucca Community. 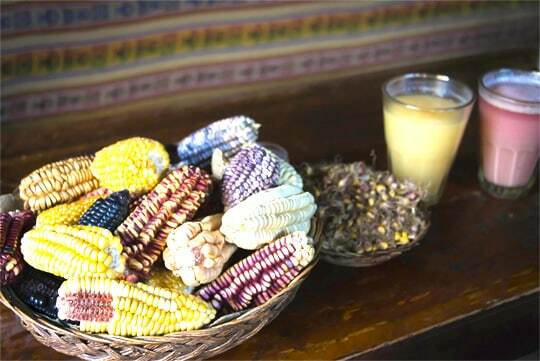 Have breakfast at your home stay, at around 08:00 am we will learn about the dyeing and weaving process. here we will see how the local women use the natural plants, roots, seeds, leaves and insects to dye the alpaca wool, there you can choose to do a weaving lesson to learn the basic structure of weaving. On the last day you depart the valley to begin climbing upwards on the trail through lovely forestland till you arrive at the splendid archeological site of Llactapata, which was only recently discovered. From that point, you will be able to appreciate the spectacular views of both, the grandiose Mount Salkantay and Machu Picchu. 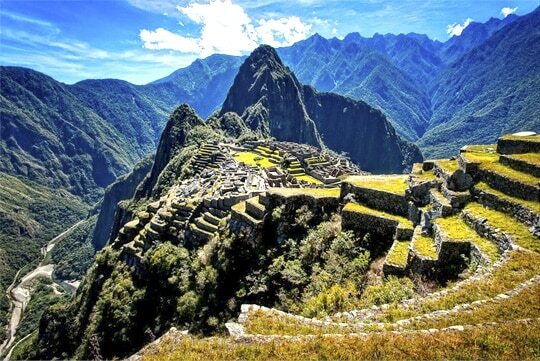 To reach Llactapata Inca site, we climb up for about 2 hours with an amazing view of Santa Teresa Valley. We can have an outstanding spectacle of the Incas’ Lost City from here as well as of the infamous Machu Picchu with a distinct angle. 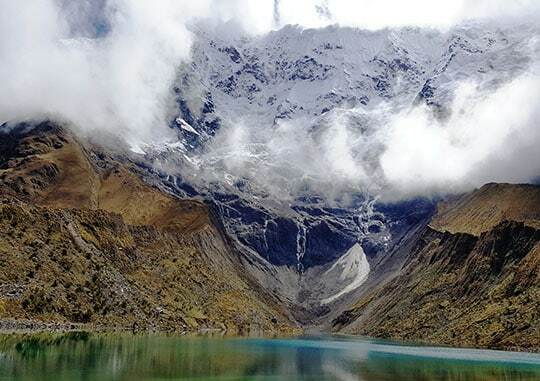 We get to see a dazzling view of nature at Llaqtapata’s lookout point (2650m/8692ft). 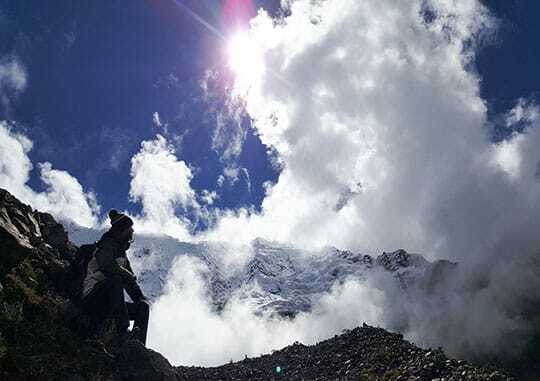 This will be our first archaeological site we will see during the Salkantay Trek, here your guide will explane to you about the importance of this Inca site. From here we will be able to see not only the ruins of Machu Picchu from this spot, but also Huayna Picchu and Machu Picchu Mountain. After we will continue 2 hours downhill to Hidroelectrica train station, here we will have lunch. After Lunch you have two options to choose. 1) If you are exhausted, you may take the train to Aguas Calientes ($31.00 extra per person). Help us with your support to local communities in Peru, doing this Inca Tradition Salkantay Trek to Machu Picchu.